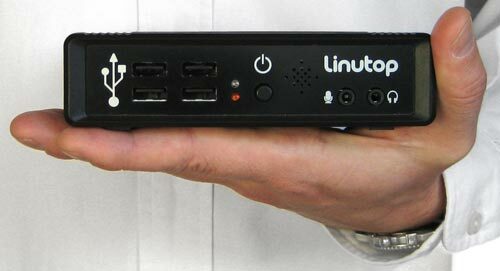 Linutop has released a new version of their popular tiny Linux PC, the Linutop 2. This new version, the Linutop 2 features a faster 500MHZ Geode Processor, 512MB of RAM and 1GB of Flash along with a new optional VESA mounting bracket. Like the Linutop 1, the Linutop 2 features audio I/O, speakers, 10/100 Ethernet, and four USB 2.0 ports, with optional USB WiFi. The Linutop 2 offers 2D graphic acceleration as well as VGA output at resolutions up to 1920 x 1440. 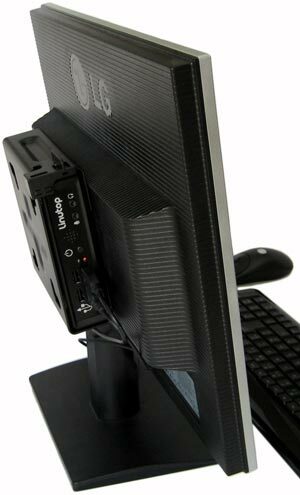 The device is available with an optional mounting bracket that enables it be strapped onto the back of an LCD display. The Linutop 2 comes with a modified version of the Xubuntu LiveCD version of Ubuntu Linux is stored on the new allotment of 1GB of internal flash memory, there is also productivity software, which leaves 400MB free for other software and data. The Flash storage can be expanded up to an additional 1GB with a USB key, The Linutop 2 will go on sale for around $400.